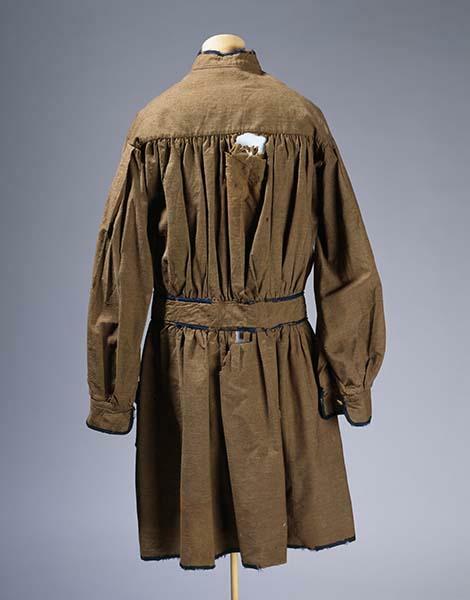 Camp Coat, made for Major General Robert F. Hoke. Single breasted front closure. Thin brown wool with standing collar. 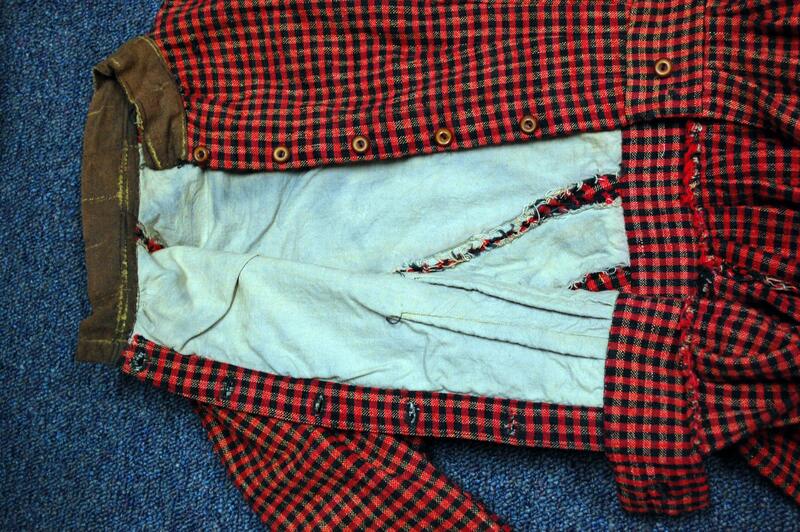 Body of coat/shirt gathered to waist band. Patch pockets. Trimmed with dark blue twill wool tape. 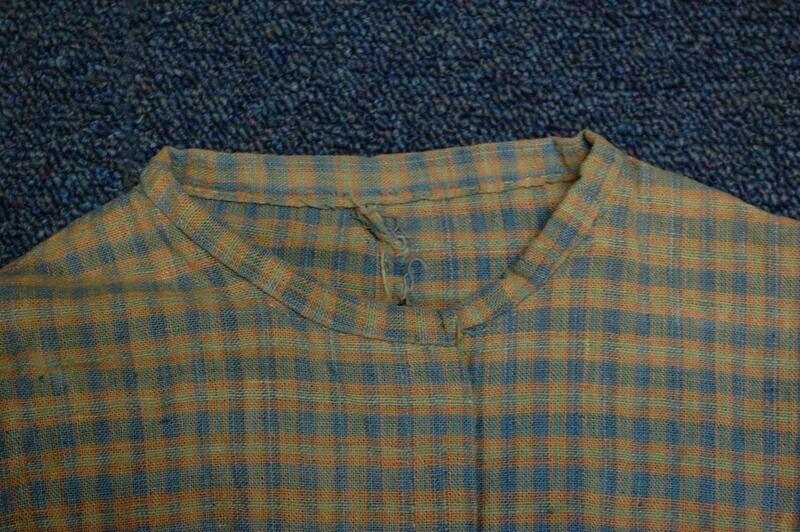 Three small three piece New York State buttons at neck and two on waist band. 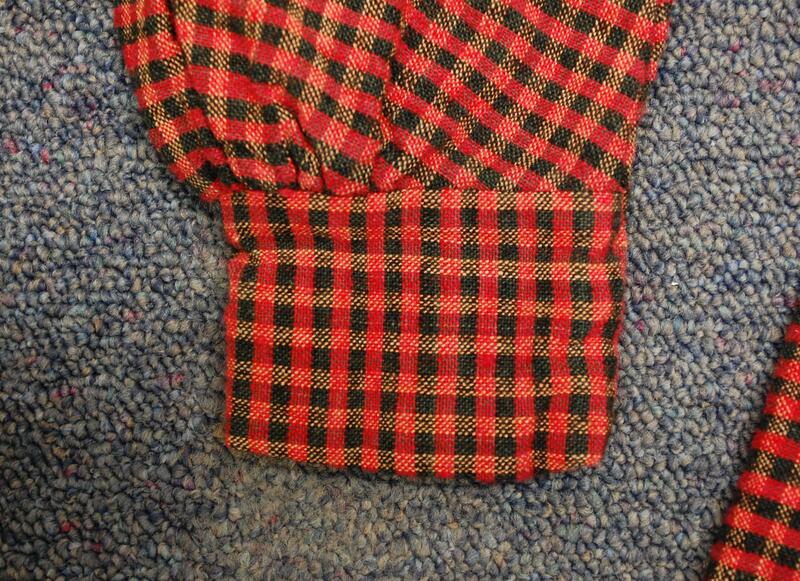 Two two piece US cuff buttons on cuffs. One engraved and shaped copper star on collar with evidence of three on each side. 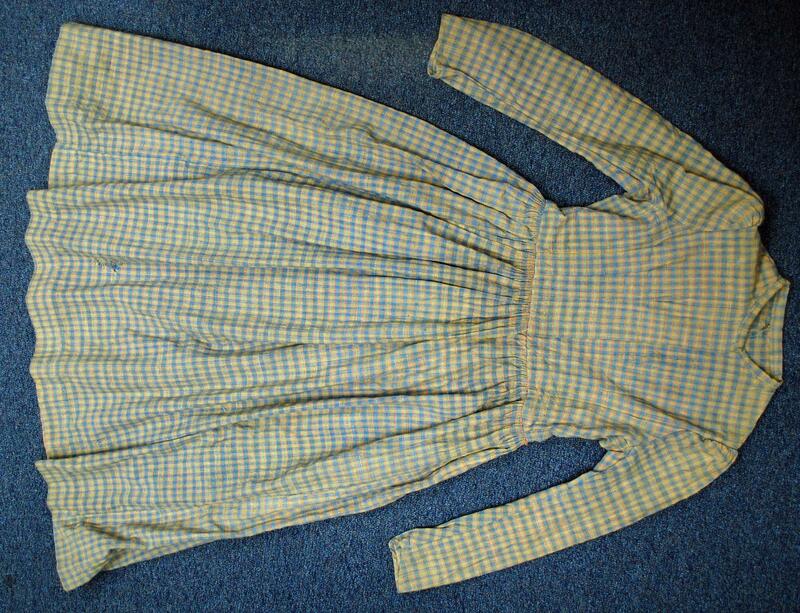 Shoulder yoke lined with white cotton with brown checked stripes with the rest unlined. 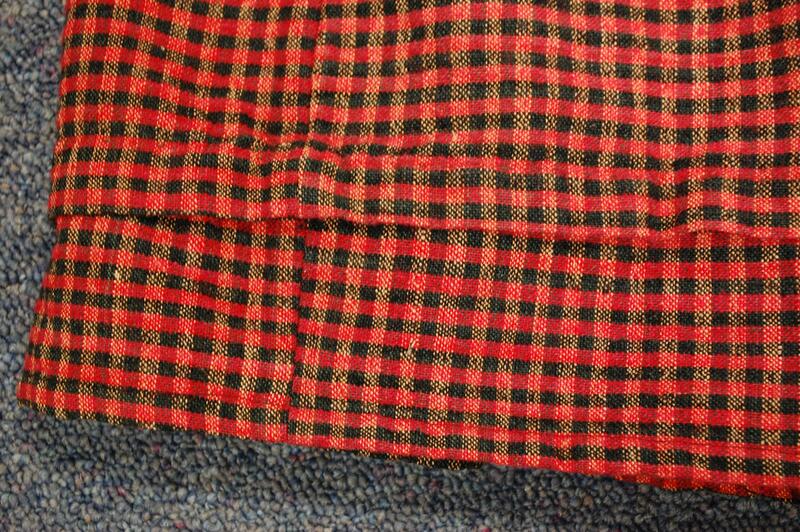 See the Conservation Process for Civil War Uniforms! 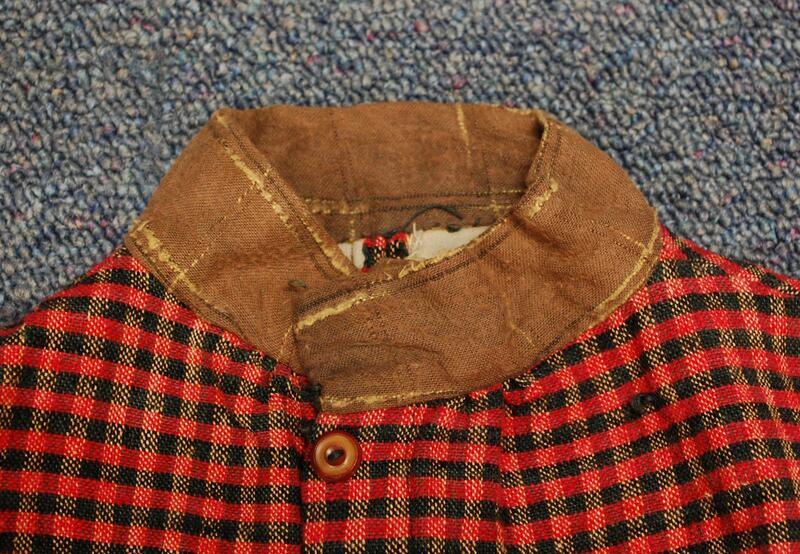 Interior detail of the Ruffin Frock Coat. NC Museum of History before conservation. 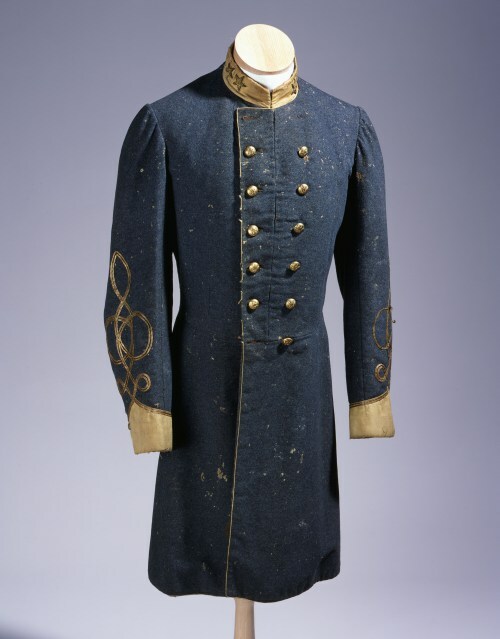 The Ruffin Frock Coat after conservation care. NC Museum of History. 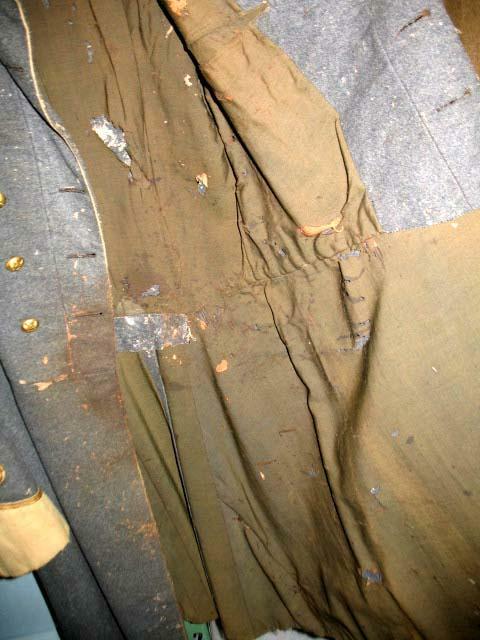 The bloodied coat of Lt. Col. Thomas Ruffin of Johnston County, worn when he was mortally wounded in battle in Virginia Oct. 15, 1863, is a challenge for N.C. Museum of History Conservator Paige Myers. 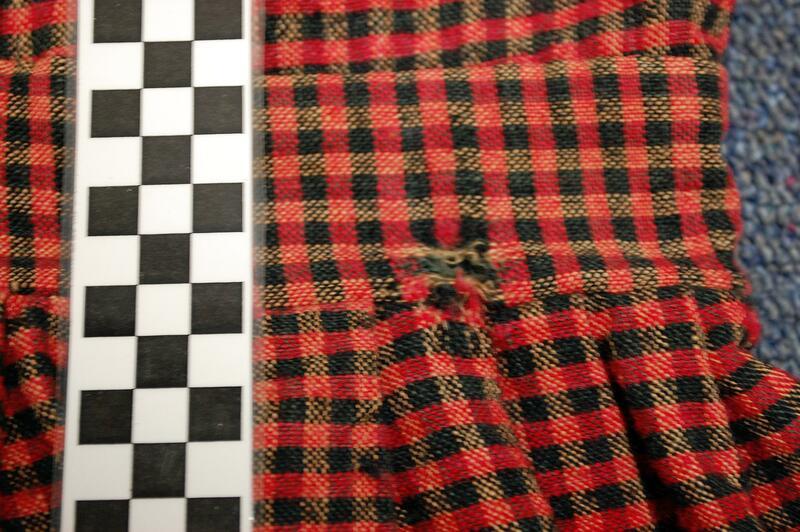 As a conservator she seeks to prevent further damage to textiles in her care even as the ravages of war are still evident. 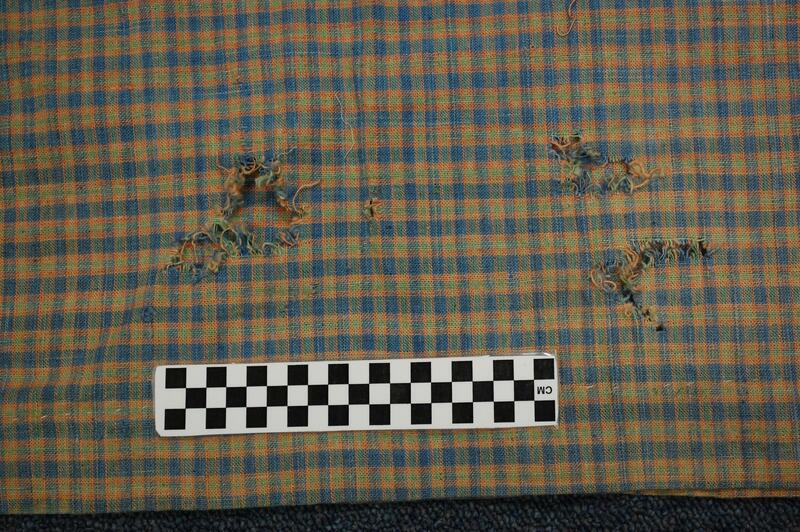 During a live webcast September 10 from the N.C. Museum of History, you can get a behind-the-scenes look at a working textile conservation lab and see some of techniques Myers uses to conserve Civil War uniforms. The webcast will be held on Tuesday, September 10 from 6 to 7 p.m., and an Internet connection is all that is required to participate. 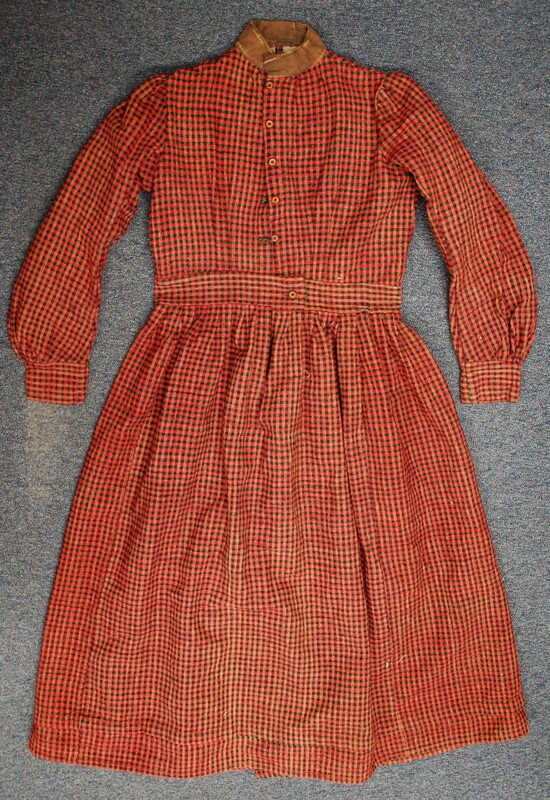 To register, simply fill out the form at http://www.ncdcr.gov/CivilWarTextiles. This program is the first in a series organized by the Connecting to Collections Project (C2C) of the N.C. Department of Cultural Resources, in cooperation with the N.C. Museum of History. 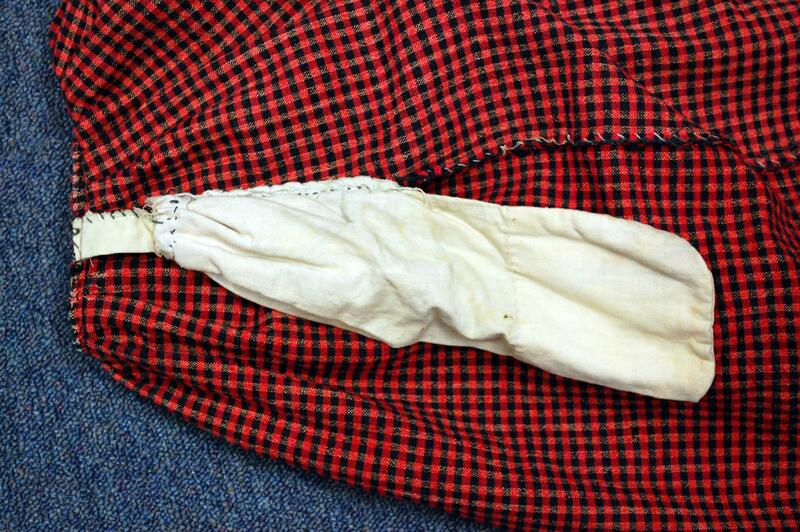 Future programs will examine the conservation of flags and garments from civilian life during the Civil War. The entire series is made possible thanks to a federal grant from the Institute of Museum and Library Services. We learn, with much satisfaction, that Qr. 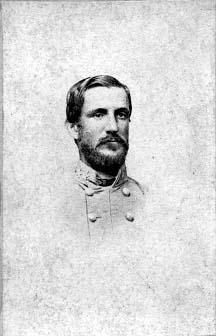 Master Wilson, of the Clothing Department in this city [Raleigh], has arranged a scale of prices to increase the pay of the females who make up the garments, and that is only requires the approval of the Acting Adjutant General to be carried into effect. We know that Gov. Vance and Capt. Wilson have been in favor of the increase for some time. Take a sufficient quantity of common shirting, dye it brown with the black walnut, cut it, and make it in the form of a large, loose cloak, without sleeves, leaving slits for the arms. 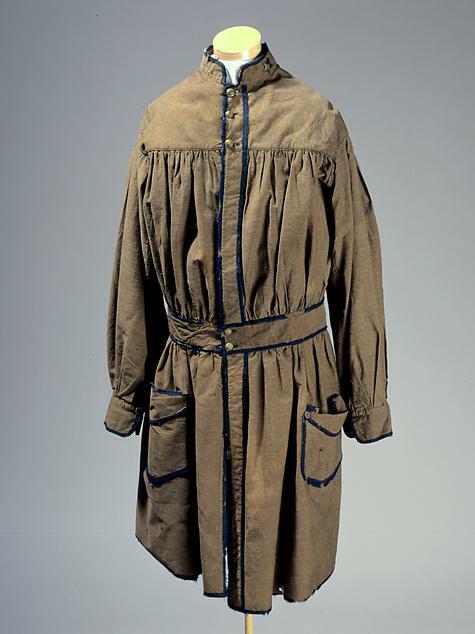 Wad it with cotton batting, in thin layers like a quilt, fix an oil cape on it, reaching down to the waist, the throat and breast part to be fastened with strings – and you have the most complete cloak and blanket ever slept in, and much lighter than a woolen coat. 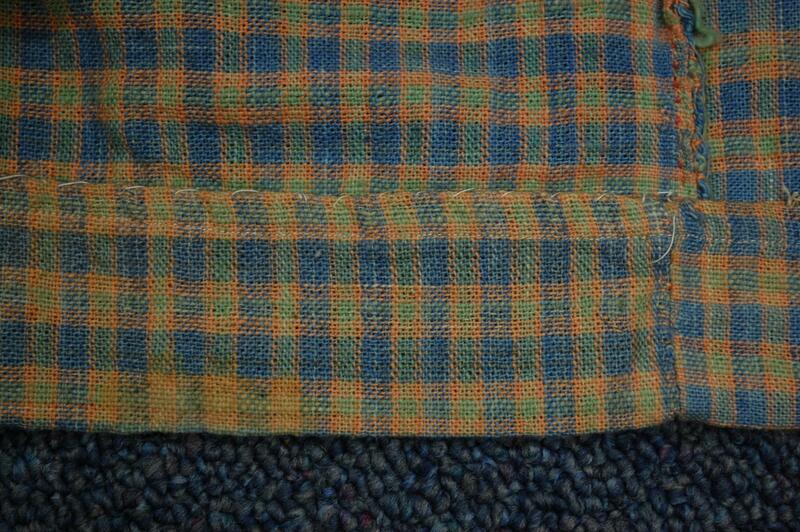 The object of the oil cloth cape is to protect the garment as well as the arms from the rain. 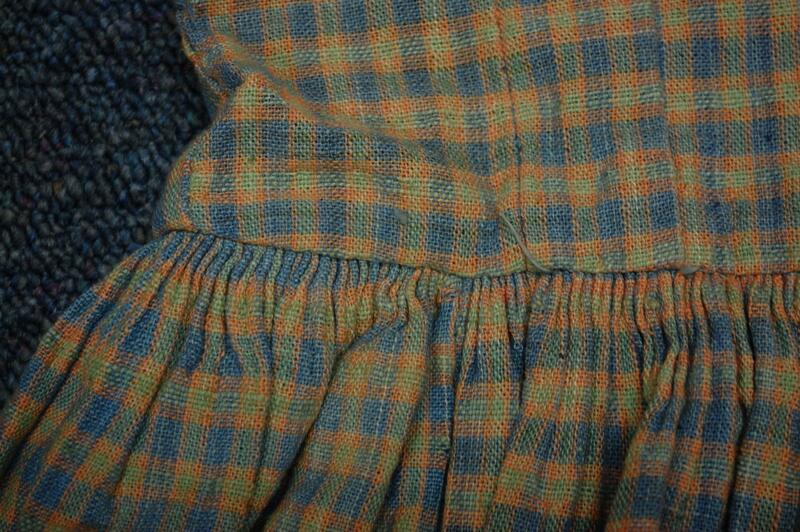 The collar should be made wide so as to cover the ears and neck when raised. Source: Yorkville Enquirer, November 5, 1862, as found in John Hammond Moore, ed., The Confederate Housewife (Columbia, SC: Summerhouse Press, 1997). The undersigned takes this method to notify the Ladies of Charlotte, and the surrounding country, that they have engaged Miss F. Brown to take full charge of their MILLINERY DEPARTMENT, and we would state that we have received a splendid lot of LADIES goods suitable for the season. Consisting of FRENCH ARTIFICIALS, a superior invoice of Bonnet, Ribbons, also Bonnets of every variety, Straw, Metropolitan, Drab, and Black Bonnet Materials of all shades, Blond Laces, Rouches, and Plaid Silks, &c., &c.
MISS BROWN will be pleased to wait upon all who may call upon her, and will endeavor to give entire satisfaction, in producing the latest fashions from Paris, and A’la Confederate style. We would also return our heartfelt thanks to all who have favoured us with their patronage, and we will do our utmost to merit a continuance, and most cordially invite citizens and strangers to visit our establishment before buying elsewhere.